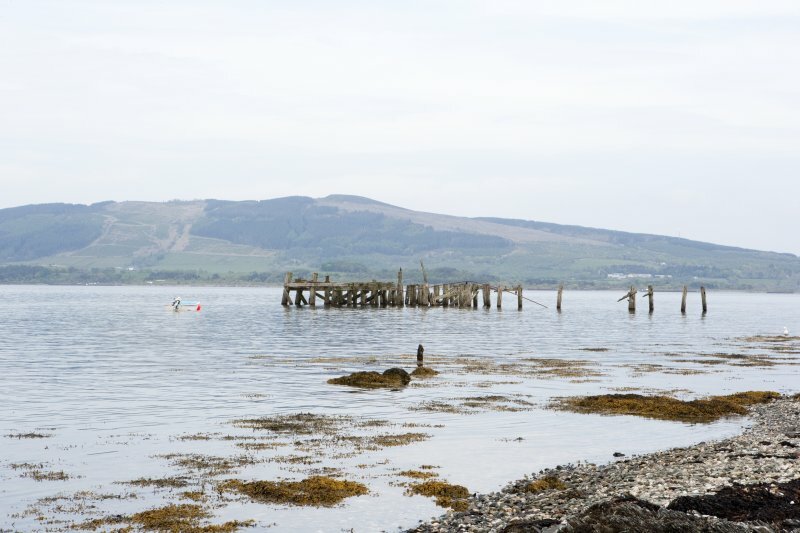 NS 075 674. 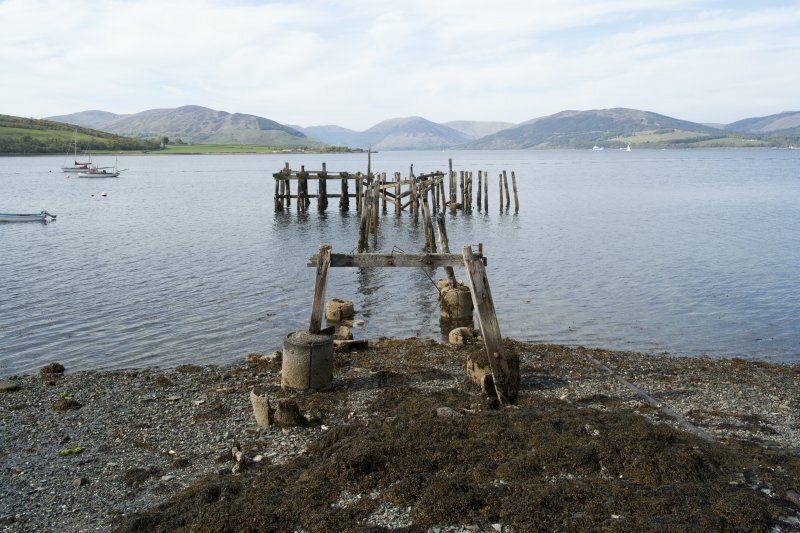 Remains of Port Bannatyne steamer pier built 1857. M Cressey and M Johnson 2004. 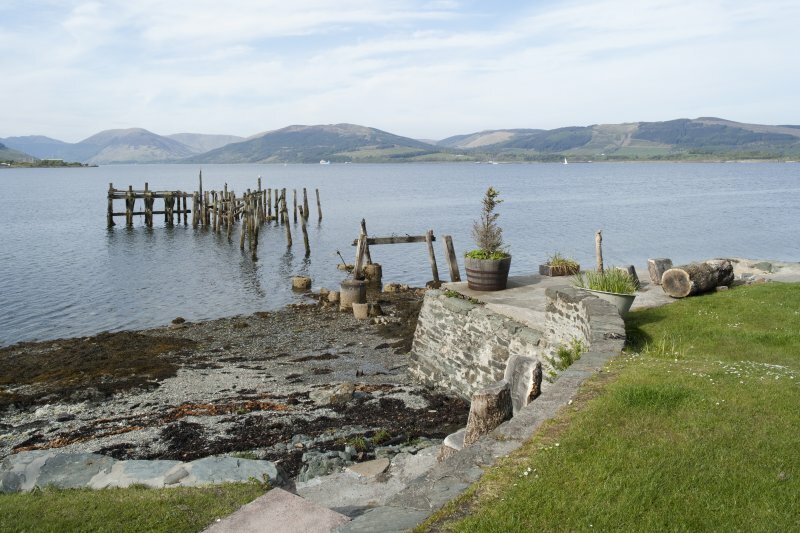 A t-plan former pier of timber construction, now with only the timber supports and landward structures in stone remaining. 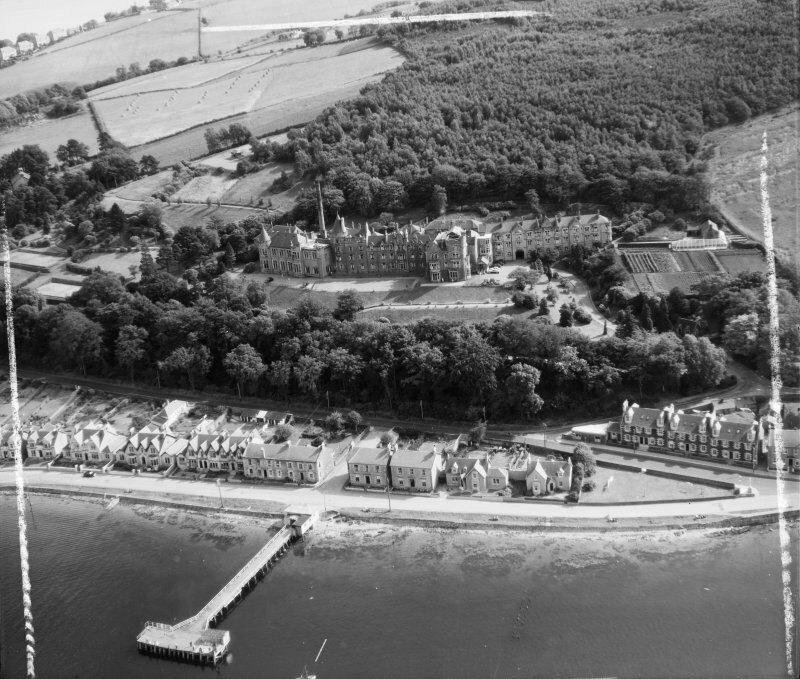 Port Bannatyne, previously Kamesburgh until its acquisition by the Marquess of Bute in the 1860s, experienced boom years during the turn of last century as a tourist destination when Caledonian steamers called regularly at the pier, with trams bringing the holiday makers round from Rothesay (FA Walker with F Sinclair).